With the number of fertilizers on the market, choosing the right fertilizer for your orchids can make your head spin! Don't get overwhelmed, proper nutrition doesn't need to be complicated. All fertilizers are not the same! Fortunately, manufacturers are required to follow a set of rules and when listing the chemical elements inside the package. Comparing fertilizers isn't difficult when you know how to read the label. All fertilizers contain three main ingredients called macro-nutrients - Nitrogen (N), Phosphorus (P), and Potash (K). Fertilizer packages have three numbers on the front panel that describe what percentage of each element is in the fertilizer. This is called the "NPK" ratio. The first number tells you how much Nitrogen (N) - for growing leaves and stems. The second number is the percentage of Phosphorus (P) - for flower production, and the third is the percentage Potash (K) - for stronger roots. For example, if your fertilizer has 8-9-5 on the front panel, it contains 8% nitrogen, 9% Phosphorus, and 5% Potash. Important Grower Tip: Nitrogen is the main ingredient in all fertilizers. Where the nitrogen comes from is critical (it's listed on the back panel). If you see the word "urea" as the nitrogen source - skip that fertilizer! Orchids can't use urea until it is broken down by enzymes or bacteria. Sterilized potting mixes don't contain the enzymes and bacteria needed to convert urea into something the plant can use. Unused urea turns to salt which can damage the plant's roots. If you're using a plant food that has urea on the label you might actually be harming your plants! Look for "nitrate nitrogen" or "ammoniacal nitrogen" on the label instead of urea. On the back panel - you should see 14 elements - called micro-nurients. All fertilizers contain the three main elements (nitrogen, phosphorus, and potash), but many skip on the micro-nutrients. If your fertilizer doesn't list14 elements on the back panel, you're taking a hit-or-miss approach and your plants are missing important minerals. Unlike houseplants, orchids enjoy 3 different seasons in their growing pattern - grow, bloom and rest. Adjusting your nutrients to coincide with these changing seasons promotes optimum growth and brilliant blooms. Grower Tip: Orchids have internal calendars that determines each season. So don't try to force your plants to change their schedule - it won't work! Some bloom in summer, others prefer winter. Dyna-Gro 7-9-5. A complete, balanced fertilizer for the growing season. This is the longest and most important season. Make sure your plants get plenty of air, light, and water (the real food for growth) during this period. 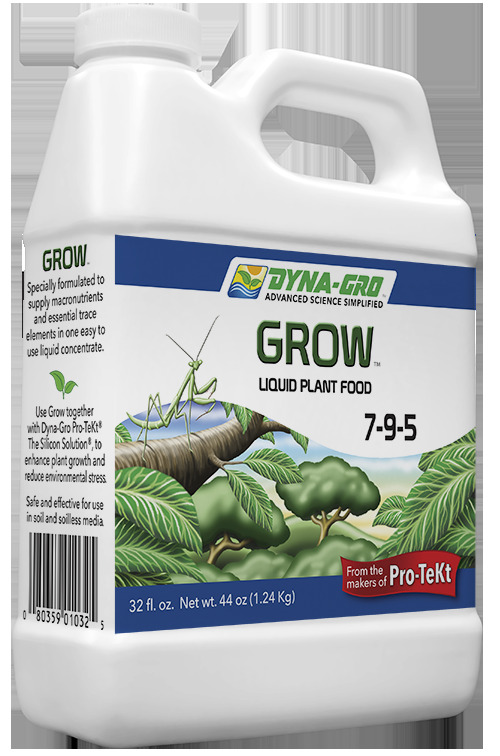 I use and recomend Dyna-Gro Grow 7-9-5 (7% nitrogen, 9% phosphorus, and 7% potash), for the growing season. With 11 additional trace elements you have a "complete, balanced fertilizer" . Bloom 3-12-6. A low nitrogen - high phosphorus fertilizer that encourages bigger, brighter blooms. A new flower spike signals the start of the blooming season (this what you've been waiting for)! Your plant has built up energy during its growing season and now it's ready to burst into bloom! Time to change your fertilizer for bigger, better blooms. Dyna-Gro Bloom 3-12-6 (3% nitrogen, 12% phosphorus, and 6% potash.) is perfect for this. Low nitrogen - high phosphorus encourages bigger, better blooms that last longer. It also contains all the trace elements making it a "complete, balanced fertilizer". 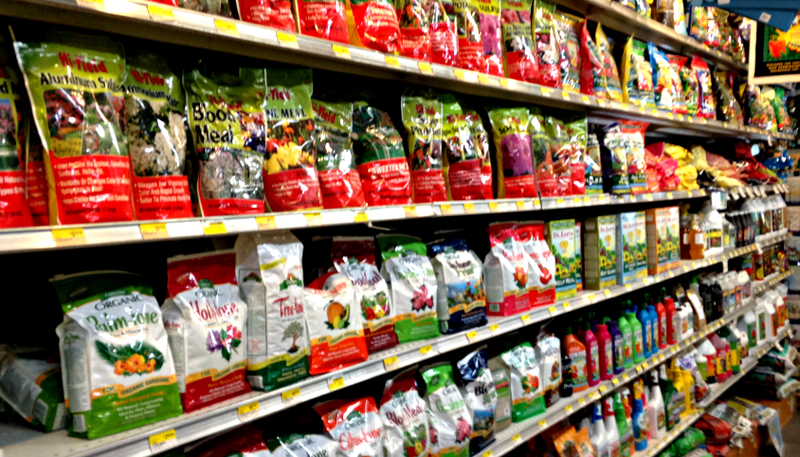 BLOOM FERTILIZERS WON'T MAKE YOUR PLANTS BLOOM! Proper light and temperature are the only things that trigger bloom cycles. Bloom fertilizers encourage bigger, brighter flowers that last longer - but they won't make your plants bloom. Switch to a "Bloom formula" is AFTER you see a flower spike. After they have finished blooming, orchids take a well deserved rest. Some plants even go into a dormant period where they shed their leaves and all activity stops. Don't use any fertilizers at this point. When you see new growth, a new "growing season" has begun and then it's time to begin applying nutrients again. What's the Difference Between Bloom Formulas and Bloom Boosters? There are many different approaches to successfully growing orchids, especially when it comes to nutrients. Just ask 10 "experienced" growers and you'll get 10 different answers - guaranteed. "Bloom Fertilizers" are blended to encourage better blooms and include all the elements your plants need for healthy growth. They're are designed to replace regular fertilizers when new flower spikes appear. "Bloom Boosters", on the other hand, are supplements that contain only those elements that enhance flowering - and nothing else. They're designed to be added to an existing base fertilizer. 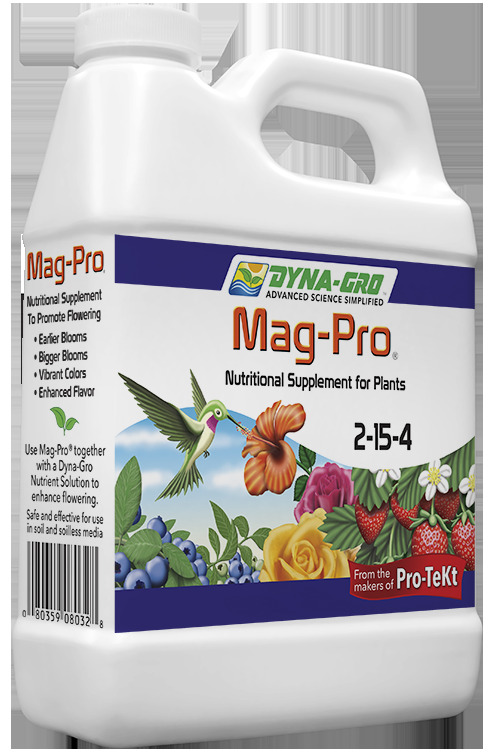 For example, Dyna-Gro Mag-Pro 2-15-4, an excellent bloom booster (2% nitrogen,15% phosphorus and 4% potash) but it only has two trace elements - magnesium and sulfur. 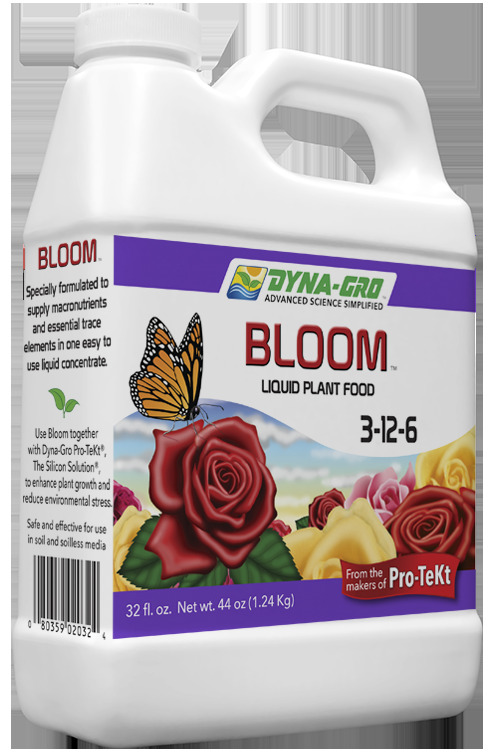 It's designed to be added to a complete fertilizer such as Dyna-Gro Grow 7-9-5 to encourage better blooms. Which is better - switching to a "complete" Bloom formula or simply adding a "bloom booster" to your basic grow formula? Just remember, all of this nutrient stuff doesn't matter if your plants aren't getting the real food they need for growth; air, light, and water. Proper light and cool evening temperatures make orchids bloom - never more fertilizer.